Steve, I know you get a ton of emails, but I still want to email you and tell you how much of an impact you had on me converting to the Catholic faith. Your talks on he Church Fathers had the biggest impact on me. After studying the Church Fathers, I knew Catholicism was the Church for me. I attend Mass daily and I owe you a big thank you. Being raised Protestant, I always felt like something was missing. I felt distant from God. Church felt more like a rock and roll concert than actual worship. I felt like the pastor was trying to entertain rather than teach. But Mass is the total opposite. I can feel the presence of Jesus in the Eucharist and the Holy Spirit in the liturgy. Tradition that has guided this Church for over 2000 years lives on and I feel proud and humbled to be apart of it. Praise God for leading me to this church and thank you Steve for helping me open my eyes of the truth. Steve Just a huge thanks for your YouTubes. My son recently returned the Catholic Church after being an Evangelical Protestant for 20 years; your description of Mary as the Arc of the New Covenant was instrumental, as he left the church because we “worship Mary” according to a girl friend in High School. Many prayers to Mary and many saints and Jesus brought him back…….with your help Thank you. Canon Lawyer Dr. Ed Peters brings clarity to the confusion caused by the Pope’s recent words. If you’re concerned about marriage, the problems in the Church in that regard, the Pope’s recent words about cohabiting and civil unions — and the trend that is developing — then this is an excellent place to start reading. Canon Law is the friend and defender of Catholic theology and the Sacraments. Catholic theology, laws, morality and the Sacraments cannot just be treated willy-nilly in anyway we want. 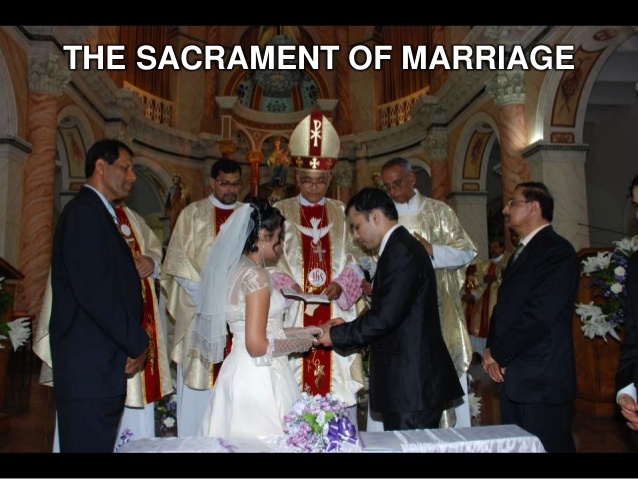 The Church has been very clear about the sacrament of matrimony, it’s theology, it’s practice and it’s laws. Right when the secular world is abandoning marriage, making homosexuality and other arbitrary relationships equal to marriage, and mocking traditional morality — the Church should be standing tall and beaming a bright light of truth and clarity. The leader of the Catholic Church should be a clear voice to bring clarity not only for Catholics but also for the culture at large. Unfortunately it seems the opposite is happening. Recent writings and comments by Pope Francis have muddied the waters, confused the faithful and given fodder to the anti-Catholic crowd. 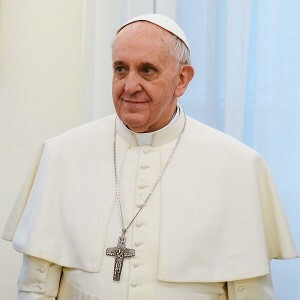 I highly recommend Dr. Peters’ article here as he critiques the Pope’s recent problematic words about cohabitation and the validity of non-sacramental marriages. Peters does a good job of clarifying the actual teaching of the Church especially in regards to Canon Law. “The pope’s most recent comments on marriage point in a disturbing direction but let’s address two important matters first. Point One. Cohabitation is not marriage. Largely overlooked amid the furor caused by Pope Francis’ rash claim that “the great part of our sacramental marriages are null”—an assertion reckless if false (which it is) and brimming with despair if true (which it is not), a claim followed not by an apology, an official retraction, or even a bureaucratic ‘clarification’ but instead by an Orwellian alteration of the pope’s words in Vatican records—overlooked, I say, in this greater mess was the pope’s later but equally problematic comment about his being “sure that cohabitating couples are in a true marriage having the grace of marriage”. For the whole article click HERE. For more on the Church’s practical and correct teaching on cohabitation, click HERE. Not the first time the Pope seemingly gave a nod to cohabitation HERE.